In fact, I’d have been to Cardiff watching the final day if I hadn’t have been so knackered after a HELL OF A LOT of travelling. Not complaining, though, it’s been a cracking 5 days I wouldn’t change for the world! I’d like to thank Mr Eoin Morgan, firstly for a great day on Day 1 watching the match from the Premier Suite at the Swalec Stadium. 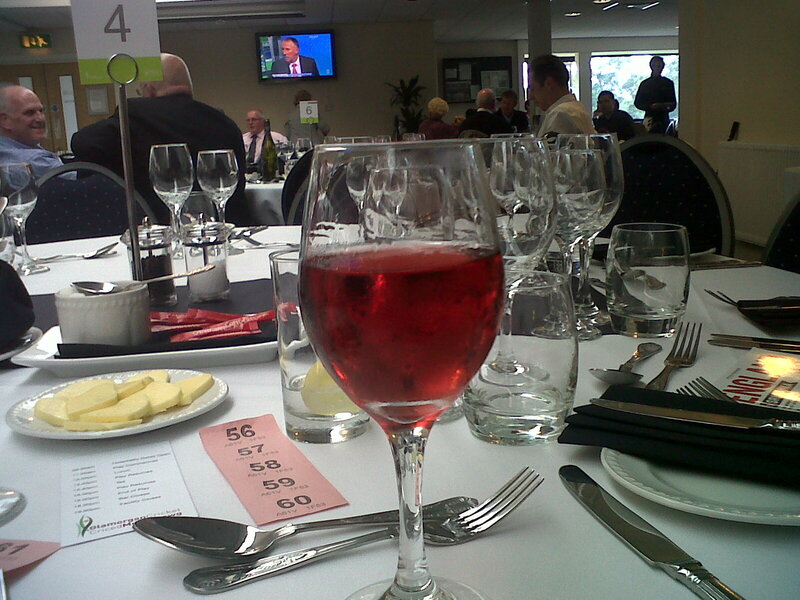 Cricket hospitality has got to be the best in the world. I’m convinced it makes that on Air Force One look like a day in McDonalds! I met some sports agents from @SportFirst who entertained me whilst the rain fell at Cardiff and prevented any play. Thanks also to the boys of @PantegCc for amusing a lady no end! (I’m sure I drunkenly agreed to go into business with one of them…) Thankfully, I did get to see some cricket – i’d never seen Sri Lanka play live before. Swansea to Cardiff and back is 80 miles, so 80 miles completed in the name of cricket. For day 2, Friday 27th May, I was invited to go to London for the online alternative cricket commentary site, www.testmatchsofa.com – which is definitely a site i’d recommend to anyone out there with a bit of a naughty side! During the lunch break I talked about my ebook and my views on the game and in the afternoon I was given the chance to commentate on the session being played back in Cardiff. An altogether AMAZING experience which also seemed to help me get from 191 Twitter followers to where I am today on a steadily increasing 326. Thank you to all my new followers who are supporting my cause – hope you enjoyed my match reports! If you’d like to hear the lunch time discussion we had, just click on this link. Swansea to Peckham and back is 400 miles. That’s 480 miles completed in the name of cricket. Days 3 and 4 came courtesy of my good friend @Cooky_24 who provided me with the tickets. Check out some of these pictures! I have been inspired to come in fancy dress for one of the matches this year. Not sure what as yet though… I hope my Twitter followers enjoyed my random little match updates! One thing I will say though is that I was deeply disappointed with the attitudes of many of the media (and ex-England players on Twitter who shall remain unnamed, super-injunction-style) saying that Cardiff should not be hosting these matches if they can’t fill their ground. 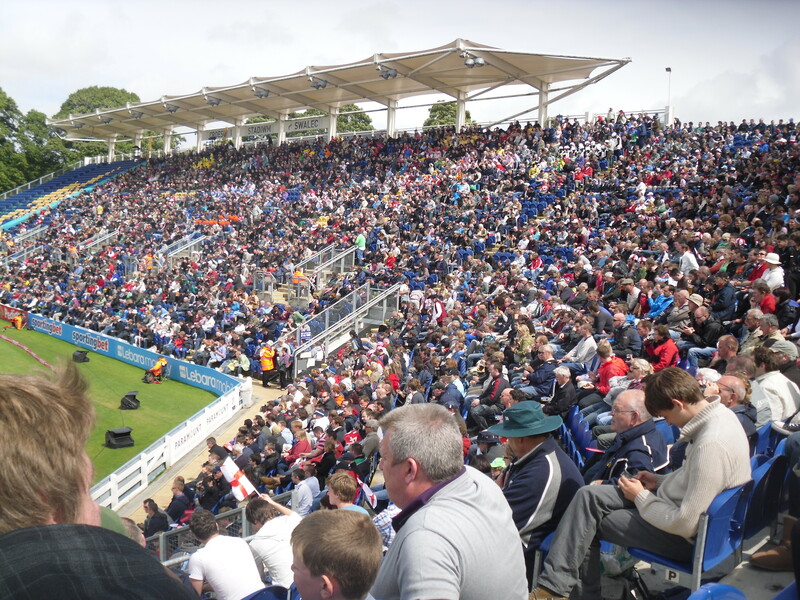 We struggled with the rainfall during this whole of this Test match – only dry day was Friday – and something like that can deter fans, especially if they’ve travelled miles within the country to sit in the cold and wet. Don’t act as if that hasn’t happened at any other ground in the past! 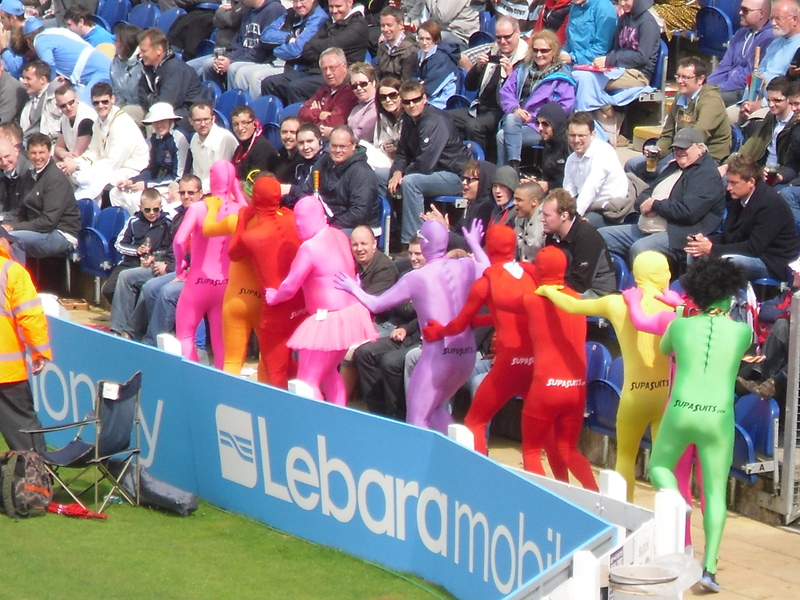 Glamorgan prepared and excellent wicket and the atmosphere was immense, as always. Ladies: If you’re really interested in getting into cricket this year then the Twenty20 matches are the way to go. These games last about 3 hours as opposed to your usual day, there’s music to dance to every time a wicket falls or a 4 or 6 is hit, and there’s PLENTY of alcohol available to make the game easier to understand! If your thinking of attending on Friday and want some more girls to sit by, give me a holler on Twitter (@LilMissAshes) and tell you where’s best to sit.